Macau, officially known as the Macao Special Administrative Region of the People’s Republic of China, is an autonomous territory and located to the west of Hong Kong. The former colony of Portugal has a lot to offer and is a great mix of Asia, Portugal, and Las Vegas. When I visited Hong Kong, it was clear to me that I had to visit Macau as well – even though I did not know what to expect. But well, sometimes I just jump into a destination without knowing much about it. But well, it is just a 90 minutes ferry ride from Hong Kong and so I thought, I cannot make any mistakes by going and spoiler alert: I did not regret going. 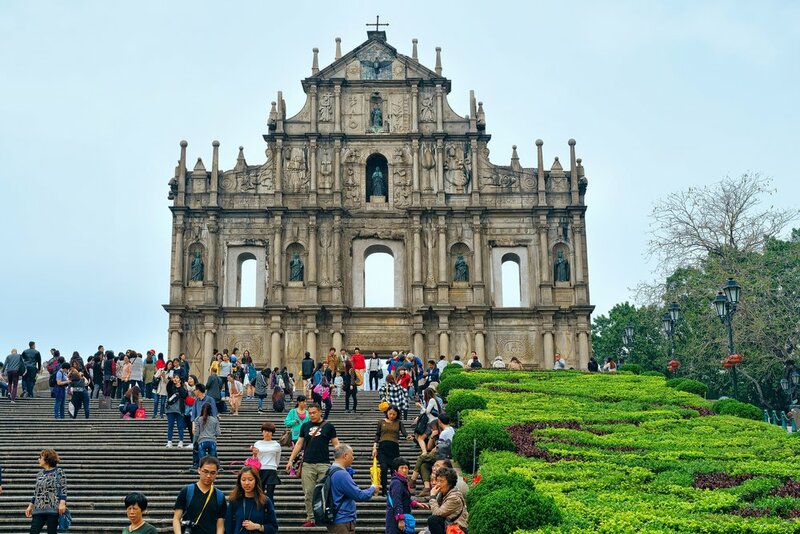 It is ideal for anyone who likes to see more than Hong Kong – in this post you will find out about the best things to do and see in Macau – whether you have one day or two days in Macau (or even three days). Find out Macau´s tourists attractions and points of interests in just 1-2 days. 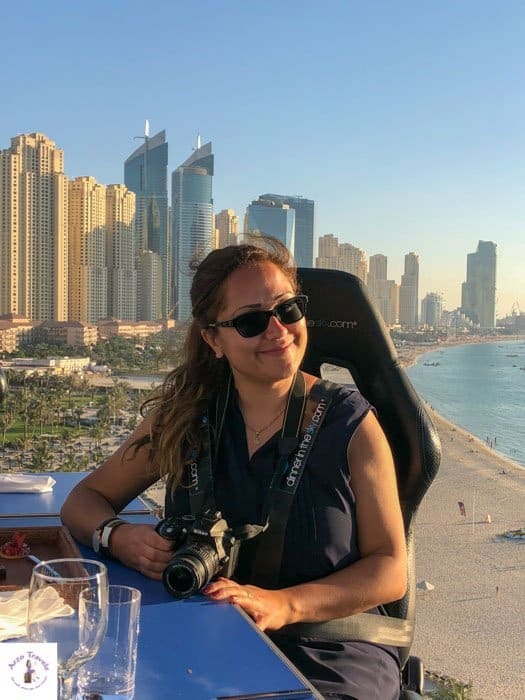 While I give tips which places to visit in one day and which in two days, it is not a typical Macau itinerary as I do not suggest restaurants or how much time to spend exactly in each place – as I know most are, unlike me, meat eaters I had a hard time in Macau. Find some travel inspiration and find out what you can do and see in Macau. If you prefer organized day trip tours from Macao to Hong Kong click here to read more. Let´s start with some travel tips first before heading to the itinerary for Macau. 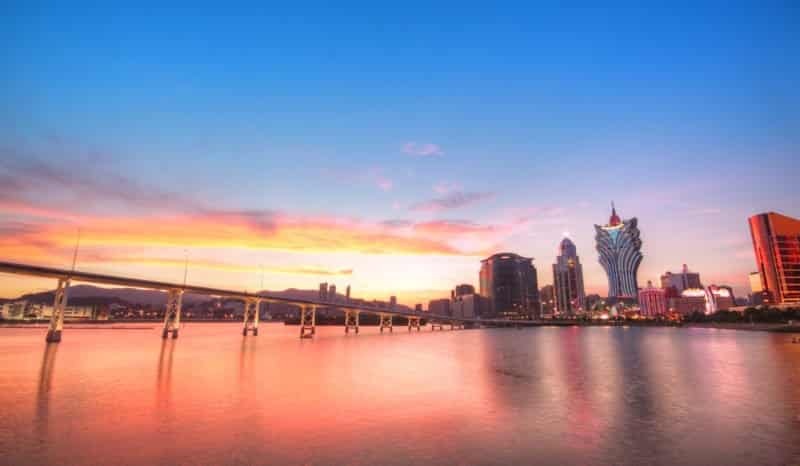 Macau makes a great day trip from Hong Kong, but not only because Macau offers better deals with accommodation I recommend staying longer than a day. The most common way to get from Hong Kong to Macau is via a ferry. 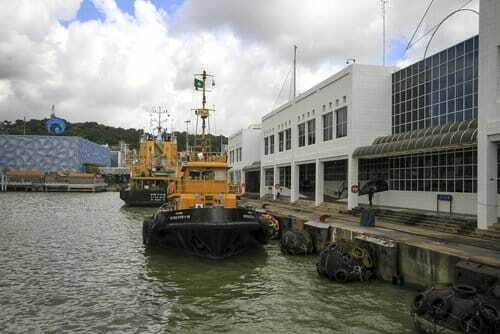 A trip by ferry from Macau to Hong Kong is about one hour and several ferry companies provide their services. There are several terminals in Hong Kong as well as in Macau, so when you plan your trip to Macau, you should first check from where you would like to start and where you want to head to. Getting a ticket from there was one of the craziest things and I felt like at the New York Stock Exchange – it was crazy, loud, and busy and I was sent to several different cashir places since not all accepted credit cards. And the tickets were sold out, so I had to actually wait quite a while to be able to hop on the ferry. This is nothing for people who do not like crowds or business and for those I recommend buying the ferry tickets in advance. Hong Kong has three ferry stations, whereas in Macau are two main stations. The China Ferry Station in Kowloon (on the main island) and Hong Kong Station (one on the island) are the main two stations in Hong Kong. There is also another one close to the airport (Sky Pier). Once you have decided from which station you want to depart from, you need to think if you prefer to arrive in Macau Maritime Ferry Station (Old Town) or in Taipa (the part where most casinos are located). It is actually very easy, pretty fast and cheap to get from one part to the other in Macau. Many big hotels offer free shuttle bus services to and from the station. It depends though, in which part your hotel is – in Taipa or the Old Town. Normally, the hotels offer only the shuttle bus service which is closer to their own hotel. I did not book anything in advance and went to Hong Kong station. It felt like being at New York’s Wall Street at the busiest times. People are running and trying to sell you tickets, sending you from one counter to the next since I wanted to pay with credit card. It seems they were all too busy to answer questions and would just point to another counter. It was actually kind of crazy. Finally, I found a counter which accepted credit card payment and booked a ticket to Taipa. Not all companies sell tickets to all stations, which was confusing. I booked one ticket with Cotai Water Jet and was told there are only business class tickets left. The price is around twice as expensive as a regular ticket and I paid about €32 for a one hour ride. The ride itself was nice, but I guess the business class tickets are just as fine. Meanwhile, the station in Macau was not as crazy as the one in Hong Kong. For my return trip back to Macau, I took a ferry from Macau Maritime terminal heading to Hong Kong Station. Although, I would have preferred to go to China Ferry Station, but there had not been any offers. Again, I had to get a business class ticket. This time, I booked with TurboJet and had to pay much more, around €50. I also had to wait for almost 55 minutes before the ferry’s departure. Though I was told before (and read somewhere) the ferries go every twenty minutes, apparently, it is not always the case. The service on that ferry was not that good as compared to the service at Cotaj Water Jet. The WiFi did not work and the staff was not very friendly, the snacks not so good. Taipa is the part with the most casinos and is very Las Vegas-like. 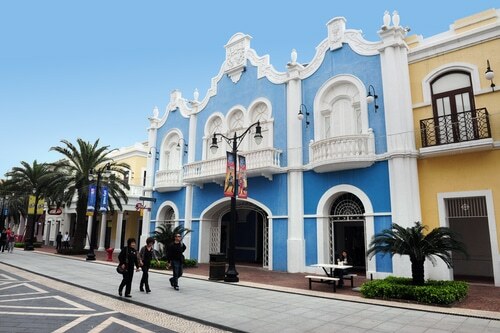 On the other hand, the Peninsula is located in the old part of Macau, which is reminiscent of Portugal. Though you´ll also find some major casinos here it is the calmer part with many UNESCO World Heritage Sites. 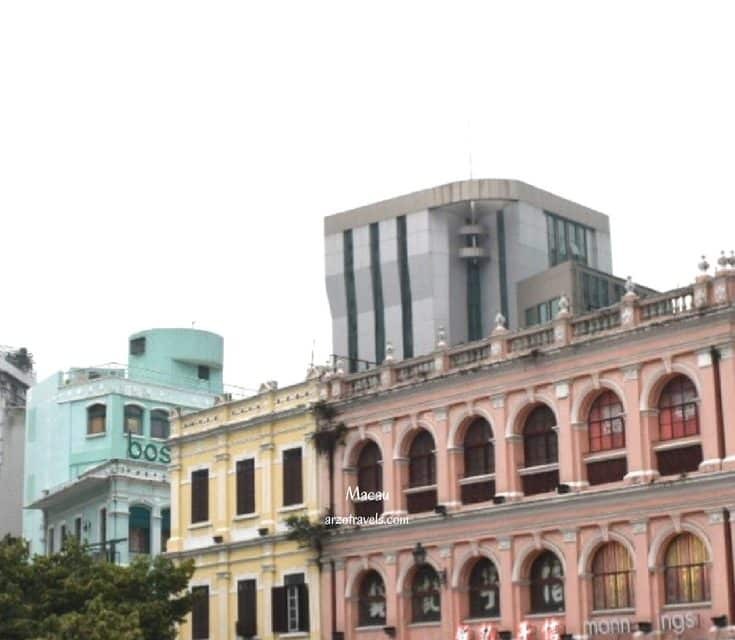 Macau comprises of two main parts: the Peninsula (Old Town), Taipa/Coloane. The islands are connected to each other by three bridges. The bus system or public transport is very good. You can just hop on any bus and they speak English well enough to communicate with you. Plus the bus fare is really, really cheap. It’s much cheaper than even Hong Kong or in Dubai. It can also bring you to Macau’s most important parts by bus. It is very easy to take one of the buses which go regularly and is very fast, it costs only around 30 cents to get from one part to the other. Many hotels also offer free shuttle buses to main attractions, and cabs are quite cheap in Macau as well. There is also a Macau open-top bus tour for 1 day, where you can get out at 16 stops to explore Macau. Macau offers excellent accommodation for very reasonable prices. Top hotels with casinos rather rely on their casino than on the actual hotel (like in Las Vegas) so you´ll get great value for money. If you want to indulge yourself in luxury but need to watch your budget Macau might be the perfect choice. 5* hotels offer prices you will never find in Hong Kong, Dubai or many other metropolia. 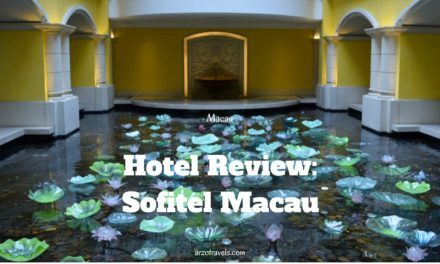 If you like to spoil yourself with a great 5* hotel I recommend the 5* hotel Sofitel Macau on Macau Peninsula – staying there was a great choice and I would totally book it again. 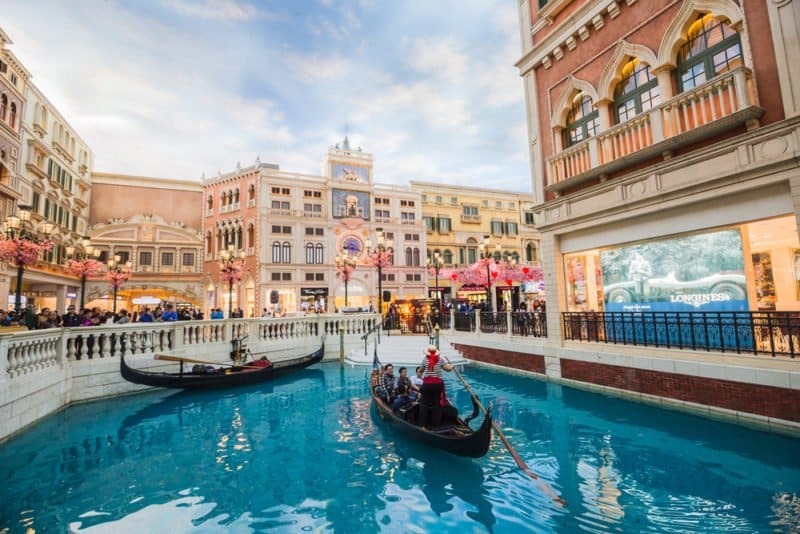 There is also the very interesting Venitian Macau Hotel which might be a great choice (since I did not stay overnight, I cannot say too much but I enjoyed my time checking out that gorgeous hotel), so more on Venetian Macau Resort here. I enjoy luxury hotels but also stay in mid-range or budget hotels. However, since accommodation in Macao is very affordable, I would splurge and go with a luxury hotel. Do you prefer backpacking? Then read the Macau backpacking guide. If you only have one day, then I would use this one-day itinerary to explore Macao. Macau is famous for several reasons – gambling is a big part in Macau. Did you know that Macau is the “real” Las Vegas? No? Then it is good I told you then :). Well, though many parts are copied from Vegas, Macau is actually the biggest gambling place (or paradise?) 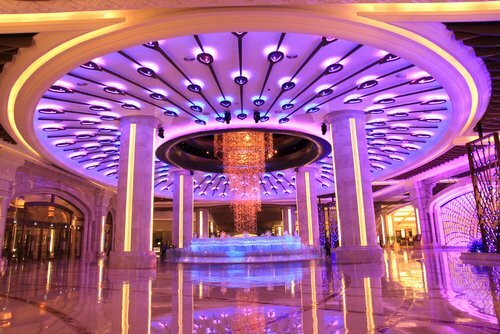 in the world – so not surprisingly, the casinos are huge and you´ll often find them in hotels. So, hotel sightseeing should be on your list. 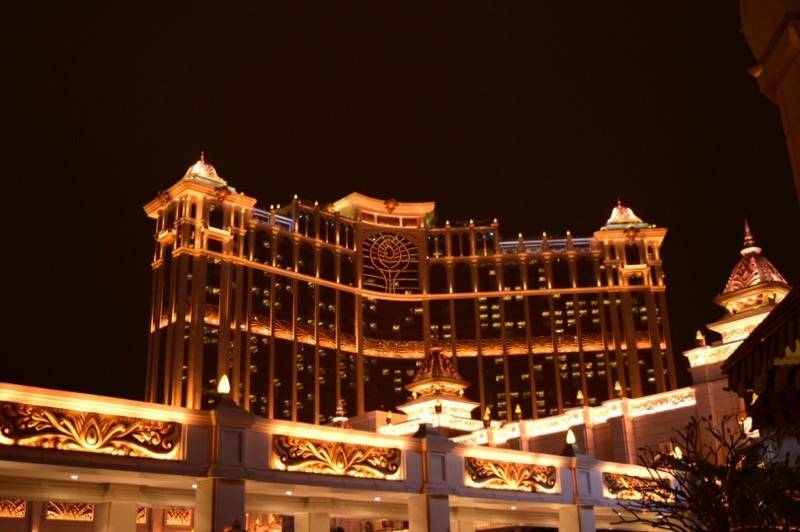 In Taipa, you can find the Venetian Hotel which is one of the best places to visit in Macau, as well as other casino hotels. The area is like the crazy casino part of Macau. I was to Las Vegas a few years ago and it is pretty much like Vegas, with all the casinos. Actually, it is bigger than Las Vegas and has the biggest casino place in the world, but it is also much quieter (it does not have the party atmosphere and I did not see half naked women on posters all around as I did in Vegas). The Venetian Hotel in Macau is also bigger than the Venetian Hotel in Las Vegas. Apparently, a visit to the Venetian is one of the highlights in Taipa and it has one of the biggest casinos in Macau. 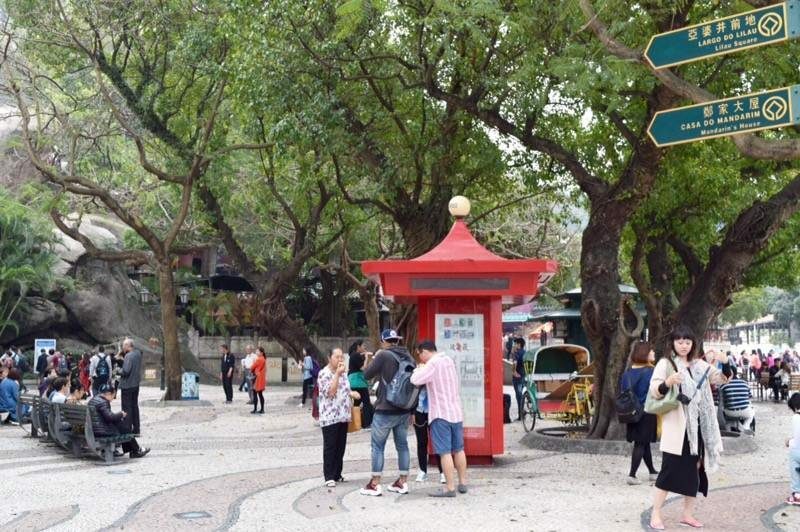 It is also a fun place to just stroll and so I definitely recommend putting a visit on the Macau itinerary. While I did not do a gondola ride (neither in Las Vegas nor in Venice) I did one in Macau. A lovely lady (I think Alexandra was her name) was the gondolier and she did also sing beautifully. You can book your own gondola ride here. If you go to Taipa at night, you will see many other big hotels. Galaxy Hotel was the one that I considered as the biggest and most noticeable at night with all the lights. There are many more casinos and casino-hopping can take easily take a few hours. Though Macau also tried to copy the Las Vegas strip, I noticed a big difference. It reminded me of Vegas, but I didn’t see the same crazy atmosphere in Macau. However, there are also, like in Las Vegas, many shows and I have heard awesome feedback on the “The House of Dancing Waters” but I have to say that I did not make it to any show. If you want to get the best deal for the show click here. It is definitely very nice to spend a couple of hours at the different casinos and just walk around and have a look at what they can offer – though you should not spend all your time at the casinos a short visit is one the best things to see in Macau. I also definitely recommend a visit of Taipa´s old part: the Old Taipa Village. 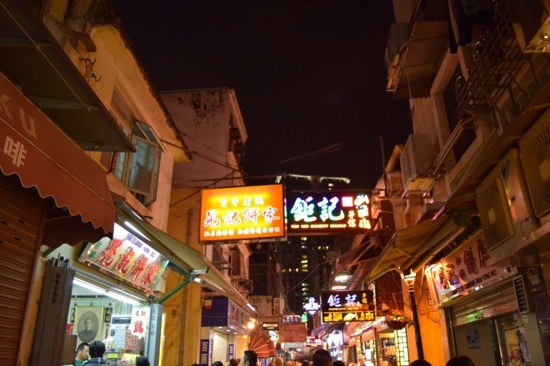 It is just 15 minutes walk from Galaxy Hotel to Old Taipa Village. It is a busy place with a lot of restaurants and some smaller shops (and full of tourists). I had dinner at a Portuguese restaurant but since I do not eat any meat or fish, it was not the best choice since the little vegetarian options were not a great choice either. Macau is known as foodie heaven, but to find vegetarian food is not really easy since the Portuguese, as well as Chinese, kitchen includes a lot of fish and meat. However, the Old Taipa Village is nice and I’m sure there are quite a few other restaurants where you can enjoy good food. Okay, my 1-day itinerary is a bit messed up here, as I actually suggest visiting the old town first – heading to the casinos and Taipa Village later that day. Here are some places you should check out in the Peninsula. Macau is very famous for the casinos and there are a main attraction in Macau, However, it actually has much more to offer. I fell in love with the old town of Macau which reminds me of Portugal, which I had visited the year before (read more about my Portugal experiences here). Though this did not come as a big surprise as Macau used to be a colony of Portugal. I went to Portugal last year and I really liked all the colorful facades, the tiles, and everything. It was really nice. The market place in Macau is very Portugal-like. It also has old temples, and that combination of Europe and Asia makes it a nice place to visit. 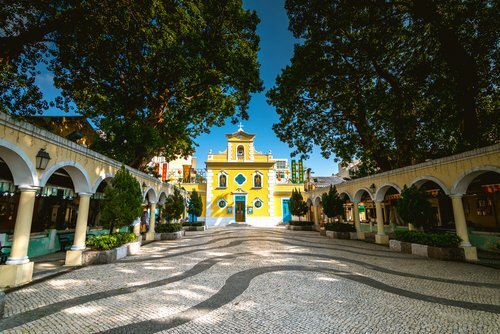 The old town is where Macau´s points of interested are bundled: What I really like about Macau, specifically in the old town, is that all the world heritage sites are very close to each other and there are also quite a lot of heritage sites in Macau to visit. If you take a map, you will notice that there are more than 25 heritage sites and all are located in walking distance from each other. So if you plan a couple of hours to visit the old town of Macau, you can start at Templo de A-Má. Just walk your way up and through the north up to Fortaleza da Guia. From there, you can see most of the heritage sites and the important locations in Macau. If you have more time to spare, you can also walk further north or to the east where there are a couple more interesting spots to visit. But I think this way, which is a couple of kilometers, will cover most of Macau’s heritage locations. If you are not much into walking, you can also hop onto a bus for a stop, since the bus system is pretty good. Whether you have two full days in Macao or just 1,5 days: Here are a few places to visit in 2 days. Located in the south of Taipa it is home to several attractions, among others a chapel and temples. However, I must admit that I did not have enough time to explore a lot in this area. This is why I definitely recommend staying longer than 24 hours if you want to discover more of Macau and to visit Macau in 2 days. 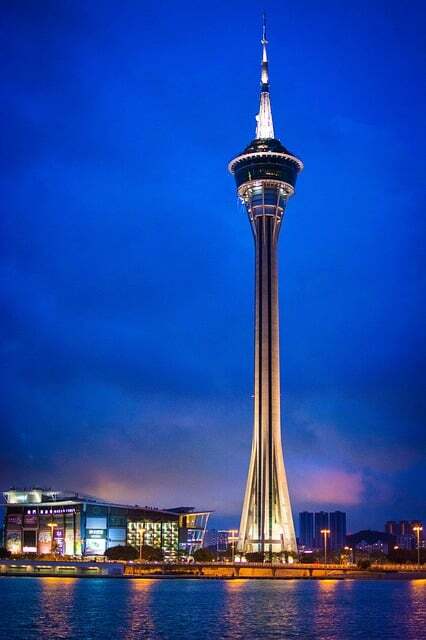 I also was not able to get on top of the Macau Tower – one of Macau´s main tourist attraction. If I visit Macau again I will definitely put that on my list as well. This is basically what I saw and did in Macau, but there are a few more things I would have loved to do and might be interesting to you as well and which you would like to a dd to your Macau itinerary. To be honest, I think, 3 days in Macau is a bit long (unless you want to be pampered in the hotels) but if you want to stay lnger, then you can do a few of these activities). That’s my Macau overview! You can spend 2 days in Macau and have seen basically everything. Of course, you could also do all this in 1 day, but I think 48 hours in Macau give you more time and mean less stress for you. Disclaimer: This post contains affiliate links. THIS MEANS I MIGHT EARN A SMALL COMMISSION WHEN YOU BUY A PRODUCT/SERVICE (AT NO EXTRA COST TO YOU. MORE ABOUT IT HERE.